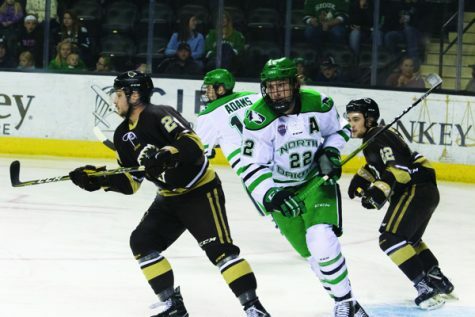 Rhett Gardner, the hard-nosed, skilled, physical and proud player for the University of North Dakota Men’s hockey team is set to play his final series for the program that has meant everything to him for the past four years. The 23-year-old out of Moose Jaw, Saskatchewan has been a top player and a fan favorite over his four years at UND. 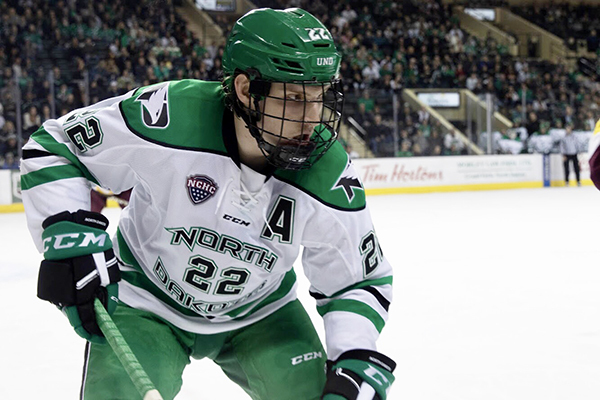 In Gardner’s four years at UND, he has appeared in 144 games, tallying 34 goals and 39 assists for 73 points. Gardner is ranked second all-time in face-off wins for UND and is currently ranked fifth in the nation in face-off percentage. 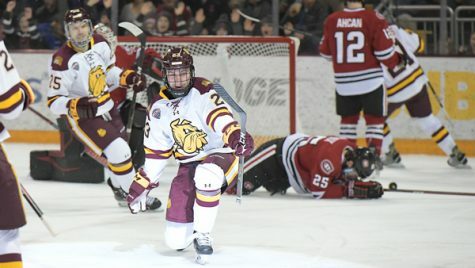 Gardner won the 2017-2018 NCHC Defensive Forward of the Year despite being injured for part of the season. 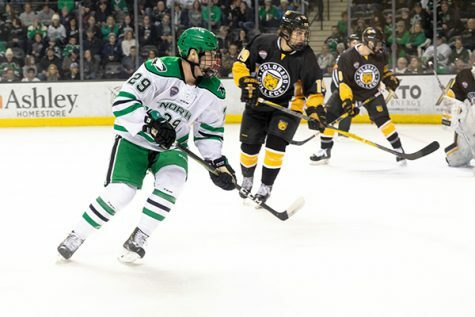 Gardner had shown promise before coming to UND yet remained undrafted. 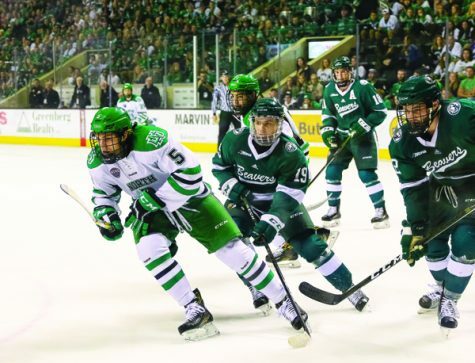 After helping win the 2015-2016 NCAA National Championship, Gardner solidified his decision to go the college hockey route when he was drafted 116th overall by the Dallas Stars in the 2016 NHL Entry Draft. The college hockey route for Canadians has become more popular in recent years, yet was still an atypical route when Gardner committed. 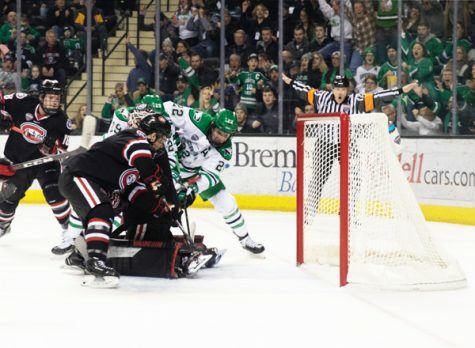 Gardner understands all facets of the game when it comes to UND hockey. It is what has made him a special player for the program during his tenure. Gardner knows it is more than just putting up numbers. It is showing up for every shift, putting your heart on your sleeve and playing for your teammates. 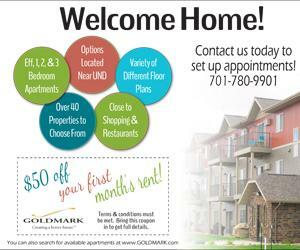 Simply put, it is continuing the tradition of UND hockey. 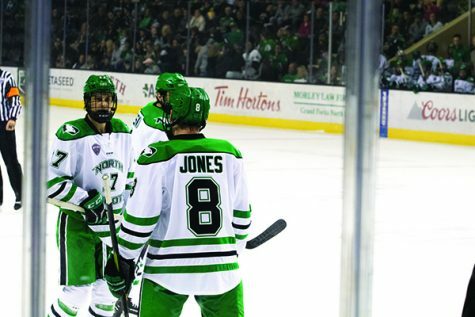 Gardner’s teammates and coaches will be the first to emphasize Gardner’s meaning to the UND hockey program. Gardner has not only left an impact on the UND hockey program, but the program has left an impact on him. He will be playing in his last series at the Ralph Engelstad Arena coming up on March 8-9 against Omaha. 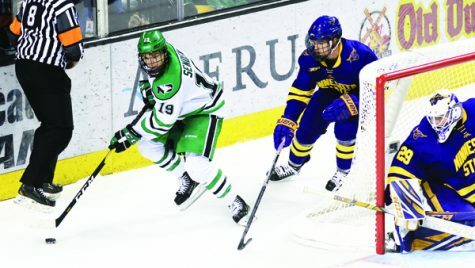 Gardner has shown the underclassmen what it takes to play UND hockey and continue the tradition that he was shown when he was a freshmen. After the season, Gardner will look to take the next step into the NHL, becoming the 101st UND hockey player to reach the professional level.